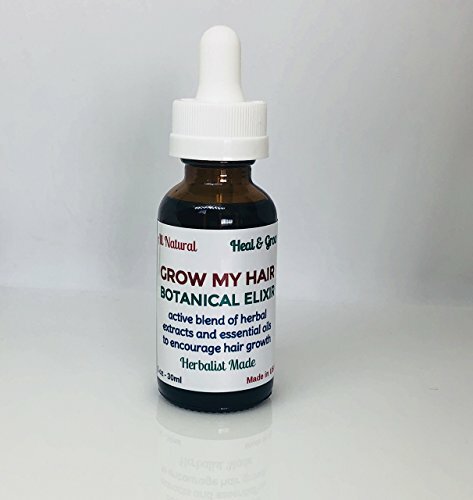 GROW MY HAIR SERUM | GSE, Borage Hair Growth Formula | 100% Natural | All Organic Essential Oil Blend | Homeopathy and Aromatherapy Formula 1 oz. This carefully formulated blend is rich in scalp regulating oils. Helps support a healthier scalp for dandruff and itch free scalp and encourages faster hair growth. Do not use harsh chemical shampoos. All essential oil blending is made personally by me, a NAHA certified Aromatherapist, and a Master Herbalist. All my products are organically grown or wildcrafted (pesticide-free/herbicide-free/no synthetic fertilizers or other chemicals) and Non GMO. Free from any artificial colors, flavors, or other synthetic material. My brand ProSeed Holistic Wellness is dedicated to offering pure, all natural, unadulterated wellness formulations.